Boiler Installation, Repair & Servicing | Liphook, Hampshire. Based near Liphook in Hampshire, Buxton Heating have years of experience of installing, servicing and repairing boilers in homes in Liphook and the surrounding area. We pride ourselves on providing honest, expert advice and a professional service that will ensure we deliver the right solution for you and your home. 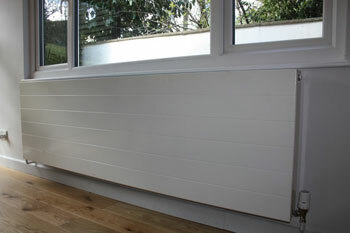 We can offer you a wide range of central heating installation options that are specific to your individual property. This means that our technicians and plumbers are able to advise you on what is best for your individual property needs, as well as providing you with a report on your current heating system to help advise you on improvements to increase your efficiency and keep down your costs. We’ll also ensure that your system complies with current safety guidelines, giving you complete peace of mind. To enjoy many years of trouble-free operation it’s important to have your boiler serviced regularly. Our annual service involves a comprehensive range of checks and tests and our team are available to service boilers in homes across Liphook and the surrounding area. Our thorough check includes a full inspection of the boiler, its controls and operation, and we also perform a flue test to check for any harmful emissions. As well as servicing boilers, we also provide a full repair service. Thanks to many years’ experience, we have a wealth of expertise and knowledge of a wide range of boilers. When it comes to installing central heating, there are a wide range of options which include solar systems, hot water cylinders and thermal heat stores. We will be happy to discuss these options with you to ensure you get the solution that is right for you and your home.